Mobile devices don't have the ability to download the RDP Connection file from Https://myrdp.download/ and run it, and because of this limitation, it isn't able to take the load balancing setting when configured manually. 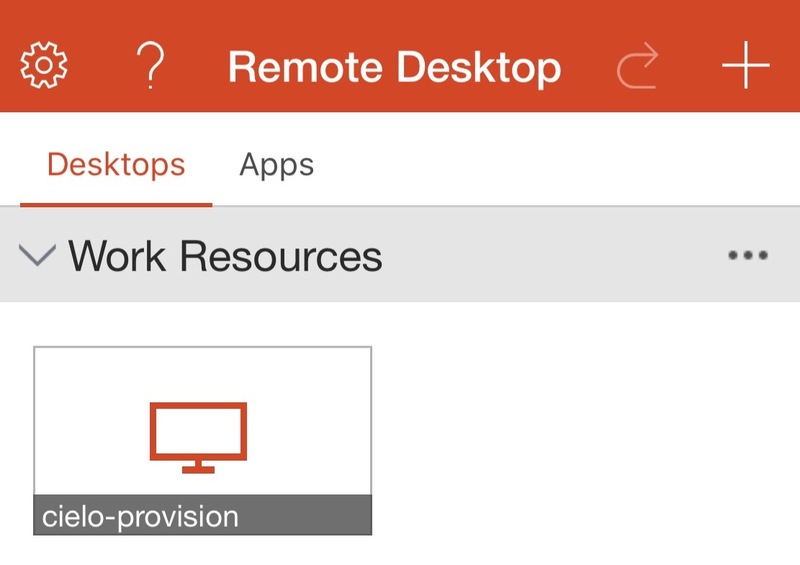 So to be able to configure these devices, you need to set it up as a remote resource. 2. Open the application and click on the "+" on the top right. 4. For the email/url you will enter your gateway address in the following format: https://gatewayurl.com/rdweb/feed/webfeed.aspx and hit Done. 5. It will shoot you back to the screen on step 3, now you'll click user account> Add user. Enter the username and password and choose save. 6. You'll again be brought back to the screen on step 3. This time you'll hit "Find Feed" on the top right, and it will put a new connection in the home screen under desktop. Click on that you'll log into your desktop.